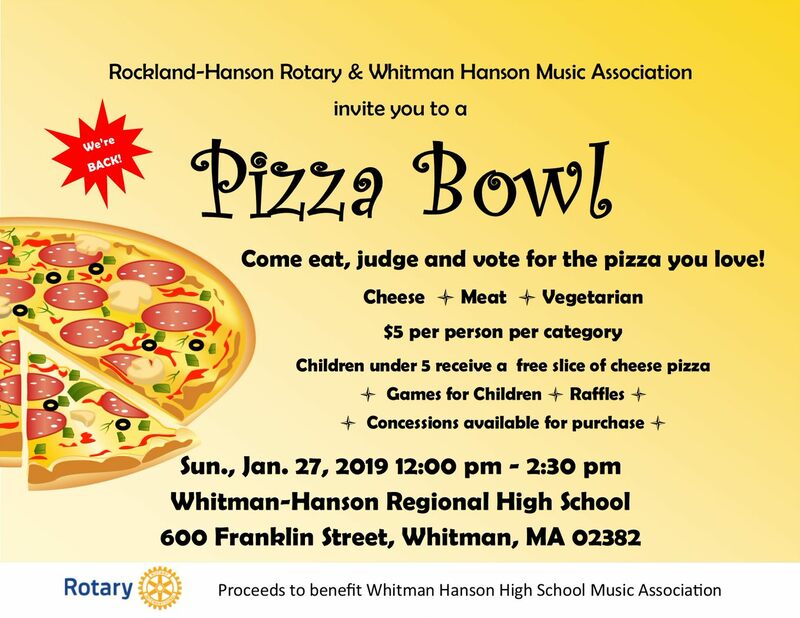 Join The Rockland-Hanson Rotary Club and Whitman Hanson Music Association on Sunday, January 27, 2019 from 12:00 p.m. to 2:30 p.m. at Whitman-Hanson Regional High School for a fantastic Pizza Bowl! Vote for your favorite pizza, play games and participate in raffles. Lots of fun for the entire family!